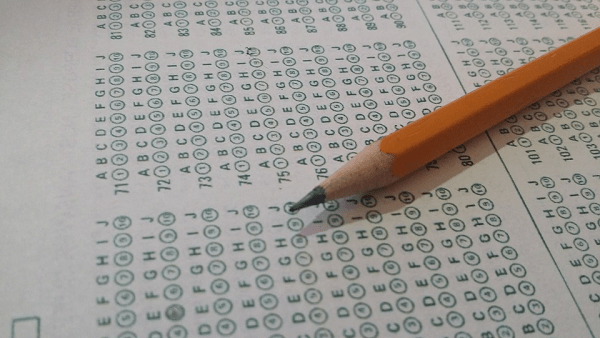 The SAT is a standardized test widely used in college admissions. For a college-bound student, doing the SAT is one of the most important milestones in your academic career. As such, it demands a lot of effort and preparation long before you actually take this exam. The way you prepare for it will determine your future, so you need to develop a good study plan. Before you start creating the plan, you need to know what the SAT really is and how to approach it. SATs basically consist of three parts dedicated to Critical Reading, Writing, and Mathematics. Each of these sections can bring you between 200 and 800 points, but you should target more than 600 if you want to distinguish yourself from your average peers. All students are different in terms of their current knowledge and personalities, so it’s not easy to make a generic studying plan and schedule. But after years of experience with SAT preparations, we noticed that the 12-month plan gives students the best results. Let’s check it out more closely. The first thing you should do is to explore the previous versions of SATs and detect the most common themes. Doing so, you’ll be able to get an insight into the test structure but even more importantly – you can compare your current knowledge with the demands of the selection committee. Once you’ve done that, you are aware of your strengths and weak spots that need to be improved. Of course, your aim is to maintain the level of knowledge in stronger areas and to learn a lot more about the things that you don’t really know at the moment. The most productive way to boost your knowledge is to adopt the learning style that suits you the most. Are you a visual, logical, or some other kind of learner? It’s important to know this because all those learning styles use different methodologies to achieve the best results. During the first quarter of your SAT preparations, you will discover all those details and then start collecting the necessary textbooks. Avoid confusions and get yourself only the simplest but comprehensive books and guidelines. Now that you have your plan and the corresponding schedule of activities, it is time to study. If you want to monitor the progress, you can ask the best friend or someone from your family to keep reminding you of the work that needs to be done in all stages of the process. This will make you more efficient and reliable. Dedicate a few hours each day to learning sessions and make it part of your everyday routine. At the same time, you can add some spice to your studying if you change the standard methodology. For example, you can practice critical reading by creating a video summary of your analysis. Learning proves to be most productive if you are having fun along the way, so why not? The last quarter of SAT preparations is probably the easiest part. You need to go through all those study materials again and make sure that you eliminated all of the weak spots. However easy, you cannot afford to neglect this phase. Namely, you have to repeat everything to strengthen the new knowledge. Besides that, you need to double-check even the parts that you knew already because it’s easy to forget something if you don’t pay attention to it for a long time. You should also use the last three months to complete practice tests and get the first impression about your skills. This sort of simulation serves to determine if you have prepared well, but it can also help you to feel the atmosphere of an actual exam. Fortunately, there are many online SATs that you can check out prior to taking the real one. You should give them a try and avoid surprises when you enter the exam room. Don’t forget to follow your plan all the way through. The pressure is going to increase with each passing week but your mission is to stay calm and relax. Don’t burden yourself with all those little details that you learned over and over again. Instead, you should take a day or two off before the testing. That way, you will allow your brain to take some rest and prepare for the big day. Congratulations, the job is done and you can celebrate! If you followed our plan and calendar, you probably didn’t have any problems with the SAT. But we remind you once again that it’s really important to study hard and try to stay calm while taking this exam. It’s a matter of psychology: sometimes you want something so hard that it actually creates too big a hurdle for you. Avoid this trap by learning steadily and gradually over the period of 12 months before the SAT. When you do things on time, you begin to feel self-confidence instead of the pressure. And along with your broad knowledge, you will be ready to do your best and ace the SAT. Good luck! About the Author: Antonio is a hopeless optimist who enjoys basking in the world’s brightest colors. He loves biking to distant places and occasionally he gets lost. When not doing that he’s blogging and teaching ESL. He will be happy to meet you on Facebook and Twitter.